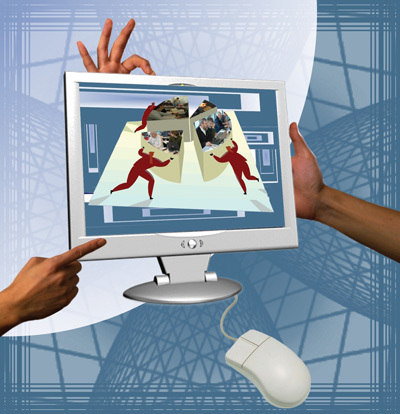 W3C to Work in "Video on the Web"
Technology-enhanced learning may not flow readily off the tongue or be easily translated as a brand name, but it very consciously reflects what it is: using ICT to secure advancements in learning. By taking advancements as the objective, we go beyond the attempt to reproduce classical ways of teaching via technologies. Technology-enhanced learning combines but places equal emphasis on all three elements - on technologies, on learning and on enhancements or improvements in learning. This will help us in devising ICT-based solutions which motivate and inspire learners and teachers, engaging them in meaningful learning and teaching experiences. 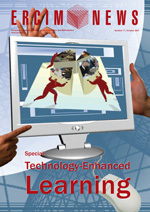 Initially known as 'computer-assisted learning' and later e-learning, the study of improving learning processes by the use of technology has evolved into the research domain known as 'Technology-Enhanced Learning'. Its objective is to encourage the emergence of new learning models that are sustained by the context-aware use of technology and anchored in the practices of users. Technology-Enhanced Learning. Illustration by Gorel Gorga.